Is Oxycontin Addictive? Even When Used as Prescribed? Is Oxycontin Addictive When Used as Prescribed? AddictionIs Oxycontin Addictive When Used as Prescribed? When Following Doctor’s Orders, Is Oxycontin Addictive? With the continuous rise in drug addiction cases involving prescription painkillers, the concern about particular types of painkillers has risen to the surface. The primary concern is represented in the question, Is Oxycontin addictive when used as prescribed by a physician? According to the Centers for Disease Control and Prevention and the National Institute on Drug Abuse, oxycontin is the most prescribed painkiller in North America and like other opioid-based painkillers, such as morphine, it is a schedule II drug, meaning that it has little to no medical use outside of relieving pain and that the drug is highly addictive. Even when patients use Oxycontin as prescribed, they still run the risk of developing a chemical dependency on the drug. At WhiteSands Treatment, we have an enormous amount of experience in dealing with oxycontin addiction, and we have been extremely successful in helping individuals who suffer from an addiction to break free of their addiction. The first step to overcoming an addiction is recognizing and acknowledging that you have one. If you are suffering from an Oxycontin addiction, there will be certain side effects of oxycodone that will be exacerbated and obvious. If you believe that you are suffering from an addiction to Oxycontin, call WhiteSands Treatment at (877) 855-3470 to speak with one of our addiction specialists so that you can get the help and support that you need to overcome your addiction. Is Oxycontin Addictive in Low Doses? It is immensely important to understand that any schedule II drug is addictive, including Oxycontin. In addition to being the most prescribed painkiller in North America, Oxycontin is also one of the most abused prescription painkillers because of its psychoactive properties. The high rate at which it is prescribed means that access to it is easy. Based on its design, Oxycontin is supposed to be less addictive than its original version – oxycodone – primarily due to its time-release function, which is supposed to reduce the usage by extending the pain-relieving ability of the drug. So, is Oxycontin addictive in low doses, considering its time-release mechanism? Yes, even in low doses the drug can be addictive, especially when used over long periods of time. In fact, the time release mechanism means that the drug will remain in your system longer than it would with oxycodone. When a psychotropic drug is in your system, it is altering your brain chemistry, and if taken long enough the altered state of your brain will become the new normal. When you attempt to go back to what used be normal, your brain and your body revolt through what is known as withdrawal symptoms. Withdrawal from Oxycontin can be immensely uncomfortable and even painful, and attempting to detox at home alone is never recommended. The simple answer to the question “is Oxycontin addictive,” is yes! There are numerous negative side effects of oxycodone use, abuse, and addiction, and many of the signs and symptoms are exacerbated once you become addicted to the drug. Following are some of the most common side effects of Oxycontin use. 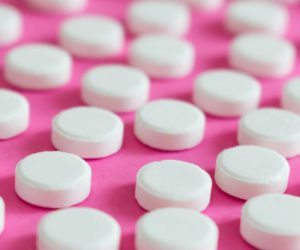 If you’ve have used Oxycontin recently, and you are experiencing these symptoms, especially if they are becoming increasingly severe, there is a chance that you have developed an addiction to the drug and you will need to seek professional assistance for you to have the best chance of achieving a complete recovery. At WhiteSands Treatment, we have a state-of-the-art facility staffed by highly competent personnel who take great pride in providing our clients with exceptional service and care. We also go to great lengths to ensure that you are comfortable and secure throughout the entire process. To begin your journey toward recovery, Call WhiteSands Treatment today at (877) 855-3470.